Bandai Namco have released a gameplay trailer for Atlas Gundam in EXVS Maxi Boost ON. As the unit is also releasing in Gundam Versus as well, we can at least use this vid to see what the unit is capable of! 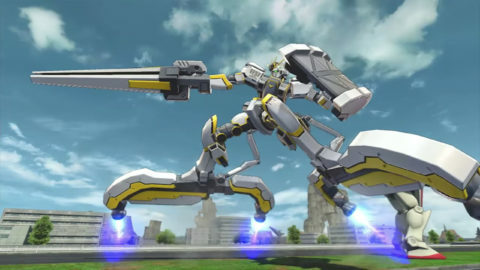 As a 2500 cost unit (400 cost in Gundam Versus), the Atlas Gundam looks to focus on being a very slippery unit, allowing you to close in quickly or evade via special movement from its sub-legs. Check out the video below and let us know what you think!